The unique service provided on the EmergencyDentistsUSA.com website gives you the choices you need to select an excellent Bellevue emergency dentist without the hassle of driving around the city searching for an office that is open. 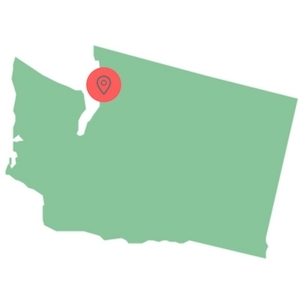 Our convenient listing of Bellevue emergency dentists is simple to scroll through, offers a large selection of competent and friendly dentists, and gives you both office hours and driving directions. Use our 24-hour emergency dental hotline to speak with a live operator who can assist you in choosing a dentist and even set up that first appointment. Pick a walk-in dental office or select an after hour dentist with office appointments that suit your schedule. So thankful I found Emergency Dentists USA! Their staff was great, they were able to find a local dentist quickly and helped me to get an appointment set up the next day. Emergency Dentists USA has a great selection of Bellevue emergency dentists to provide you with dental service right now. – Walk-in dental clinics – Dental clinics that allow patients to come in without an appointment such as Bellevue Emergency Dentist which accepts walk-in patients and handles your emergency with care. – Emergency 24-Hour Dental Clinics – Clinics that specialize in being open 24 hours a day are not available in Bellevue, but there are great hospital emergency rooms that provide medical and dental care 24-hours a day and seven days a week. – After Hours Dentists – After hours dental offices like Factoria Dentistry provide appointments after normal business hours or on the weekends. You can see Dr. Chihab on Saturdays from 8 a.m. until 2 p.m. when your dental emergency strikes on a weekend. Simply scroll through the listings below and choose the Bellevue emergency dentist with a location that is close to your home or hotel. You can also use our 24-hour dental emergency hotline to speak with a live operator who can assist you in choosing a new Bellevue emergency dentist. Description: This is one area of our scenic nation that you do NOT want to have to spend time in while curled up in bed having a throbbing toothache. If you encounter severe dental pain while on the road, the best thing to do is call our easy to use 1-800 number adn let our staff help you. Description: This dental facility is well primed to handle an assortment of problems that might plague you such as a lost filling, chipped tooth, an acute toothache, teeth that are decayed, wisdom tooth that is broken or sore. These types of ailments make up many of the problems people have when them come to visit Dr. Rafie, but whatever your issue is, be assured this clinic desires to be your walk in dentist in Bellevue, Wa of choice. Description: This dental clinic certainly has a history on this site. We ranked them as one of the eight best dental websites online right now. Expect top quality care from Brookside Dental with hours that can definitely fit into your schedule. Their email responses are timely and are willing to take on any emergency you may have come by. Description: A weekend dentist in Bellevue is sometimes a godsend if you are in an accident and suffer from an oral injury. This clinic describes themselves a friendly and family oriented location in South Bellevue and with Dr. Chihab’s exceptional training and experience of over 12 years, you can be certain that you will get the immediate care necessary. – Bellevue emergency dentists perform routine dental care like cleanings along with more complicated dental procedures. – Gather your recent dental x-rays and examinations to bring with you to visit your Bellevue emergency dentist. – Arrive 15 minutes early to facilitate filling out paperwork. This also allows you time to ask questions regarding your dental procedure. – Make sure you know how you’re going to pay and if the dentist accepts your form of payment, cash, credit, low-interest plans, or insurance. – Choose a Bellevue emergency dentist who is in your dental insurance network. This can save you money when the time comes to pay your dental bill. – Just like any medical visit, make sure you know if you have any allergies to medicines. Bring a current list of your medications with you to visit your new emergency dentist. Some of the most common dental emergencies include painful toothaches or an abscess that makes it uncomfortable to chew. You might also experience a cracked or chipped tooth, a broken tooth, or a tooth that is knocked out completely. Also, a common dental emergency might include brackets or braces that are loose or have a wire that is broken. Bellevue emergency dentists are always available to help you get out of pain quickly. An abscess sometimes begins as a painful lump on the gum between the teeth or below the teeth. This lump is actually an infection that can spread quickly to other areas of the mouth, including the bone of the jaw. Use a solution of salt water to rinse your mouth several times to draw the pus toward the surface of the gum. Do not use any type of sharp object to poke the gum in the area of the abscess. Visit your Bellevue emergency dentist as soon as possible to treat an abscess as this type of dental emergency becomes dangerous quickly. A lost filling is a common dental emergency that sometimes occurs when a person is eating. This type of dental emergency might not be painful because the tooth decay has not reached the sensitive portion of the tooth. Use a small piece of sugarless gum to fill the hole where the filling was located and visit your Bellevue emergency dentist as soon as possible to have the filling replaced. Do not use gum with sugar to fill the cavity, as this can cause pain. You can also choose over-the-counter dental cement to fill the cavity until you can see your dentist. 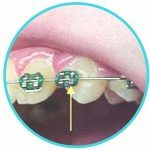 Broken or loose braces and wires can be both painful and embarrassing. This type of dental emergency requires quick treatment. Do not cut a broken wire. Simply use the eraser end of a pencil to push the wire into a more comfortable position. You can also cover the sharp end of the wire with a cotton ball or a small amount of orthodontic wax to protect your gums and cheeks. Use dental wax to attach loose braces to the teeth. Visit an emergency dentist as soon as possible to have the broken or loose braces and wires repaired. An emergency tooth extraction is a procedure that you might need if you have a tooth that has decayed to the point where a dentist is no longer able to repair the tooth. It is important to have that tooth extracted as soon as possible to avoid any complications and to lessen the need for medications. Your Bellevue emergency dentist usually begins the emergency extraction by taking an x-ray of the tooth and then performing an examination of the tooth. He or she will choose a local or a general anesthetic to ensure that you are comfortable throughout the extraction procedure. A special dental tool is used to pull the tooth out of the gum, and the gum is then stitched closed with a type of suture that dissolves over time. This means that you will not need to have the stitches removed from the gum. A small piece of gauze is placed over the gum to stop any bleeding, and full healing usually occurs within one to two weeks. It is important to follow any instructions given by your emergency dentist. Take medications as directed, and avoid eating hard foods or drinking from a straw for the first few days after the extraction. Also, try to avoid drinking alcohol or smoking until the gum is fully healed. Heading to the emergency room for a painful toothache means spending time in the waiting room, seeing a physician who is not a dentist, and possibly getting a huge bill from the hospital. Unless your dental emergency includes a fall, a sports injury, or an accident that might have damaged any other part of your body, your Bellevue emergency dentist is the best choice to remedy that dental emergency. In general, an emergency dentist charges less than a hospital emergency room and offers all of the services that you need in order to get out of dental pain quickly. Always go straight to a hospital emergency room if your dental emergency includes an accident, a fall or a sports injury. You could have a more dangerous medical problem like a concussion that requires immediate attention from a trained physician. This is especially important if your fall or injury includes a broken bone or a head injury. When your dental emergency includes an accident, a sports injury, or a fall, Bellevue hospitals are open 24-hours a day and seven days a week to ensure that you get immediate medical care. Local hospitals are a great choice for any dental emergency that might include other bodily injuries. Use the American Dental Association’s website to ensure that your new Bellevue emergency dentist has the proper licensing and credentialing to treat your dental emergency. You can also use the Washington State Dental Association’s website to check on local dentists, learn more about tooth care and get tips on choosing dental products to protect your teeth.